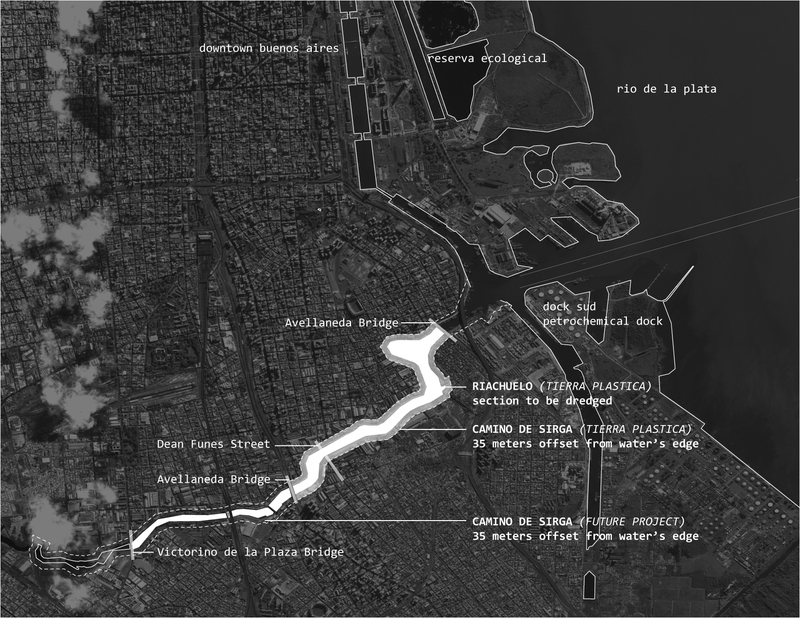 The Reserva Ecologica is a testament to the potentiality of the Rio de la Plata biome and infrastructural projects gone awry. 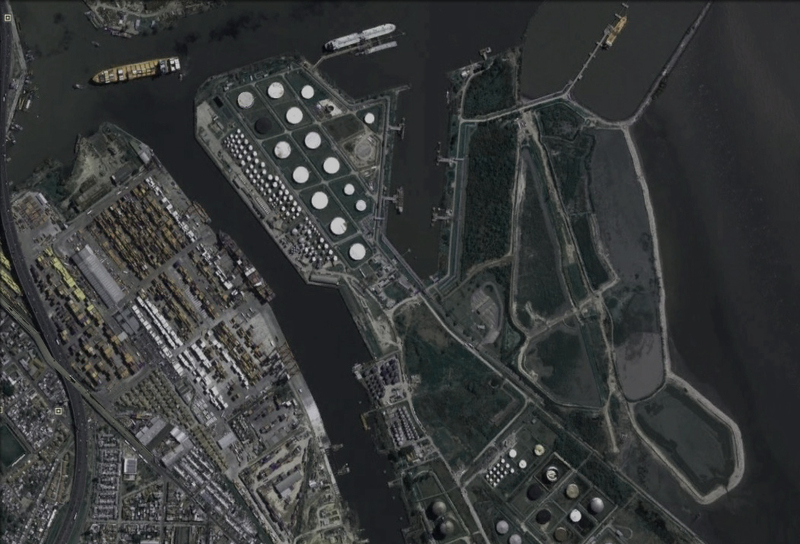 Perched between Buenos Aires and the Rio de la Plata, with Puerto Nuevo on one side and the Petrochemical Port on the other, it is the liminal space between intentionality and potentiality. 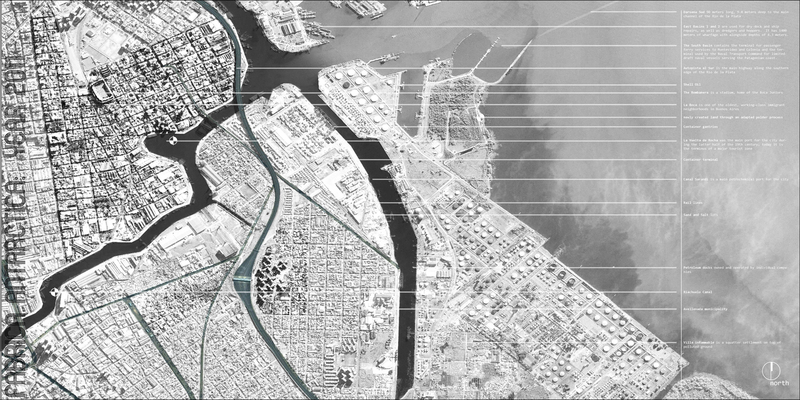 And it is just to the north from the mouth of the Riachuelo canal. 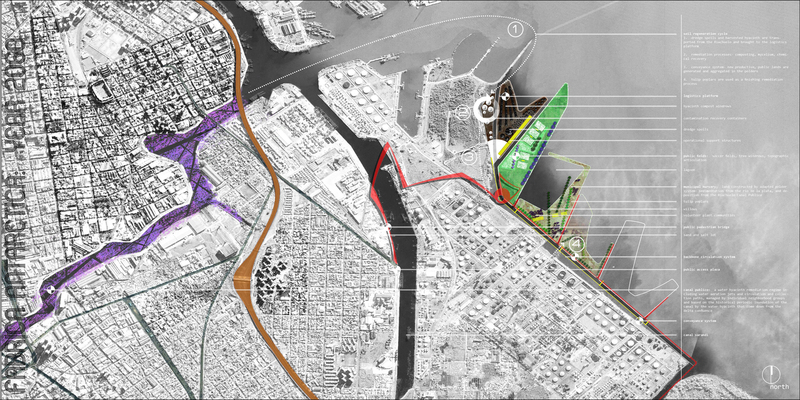 Given its proximity and unique characteristics, it will serve as both a precedent and contextual situation to be dealt with for this thesis project. 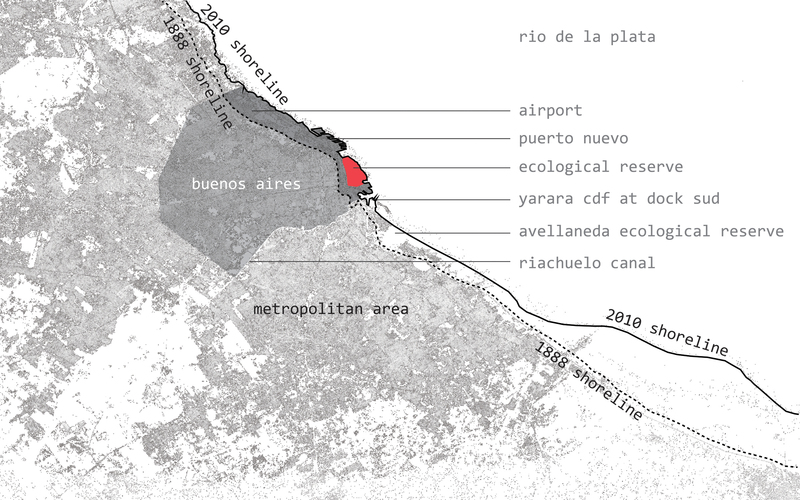 The Reserva Ecological is a result of an incomplete poldering system begun in the 1970’s under the military dictatorship with the intention to reclaim land from the Rio de la Plata and create a new government administrative center. 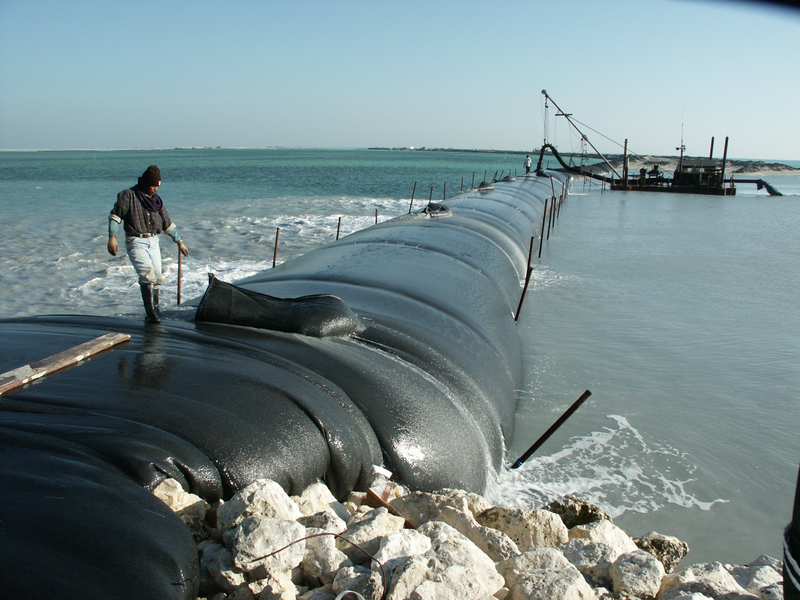 The perimeter embankments were constructed using a poldering system- an embankment was created and infilled while excess water was pumped out. 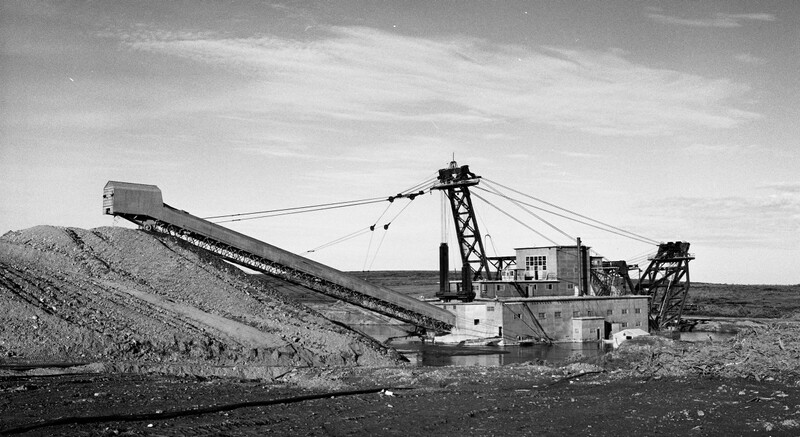 The embankment material was demolition debris from projects underway in the city at that time as new highways were being cut through the existing fabric. 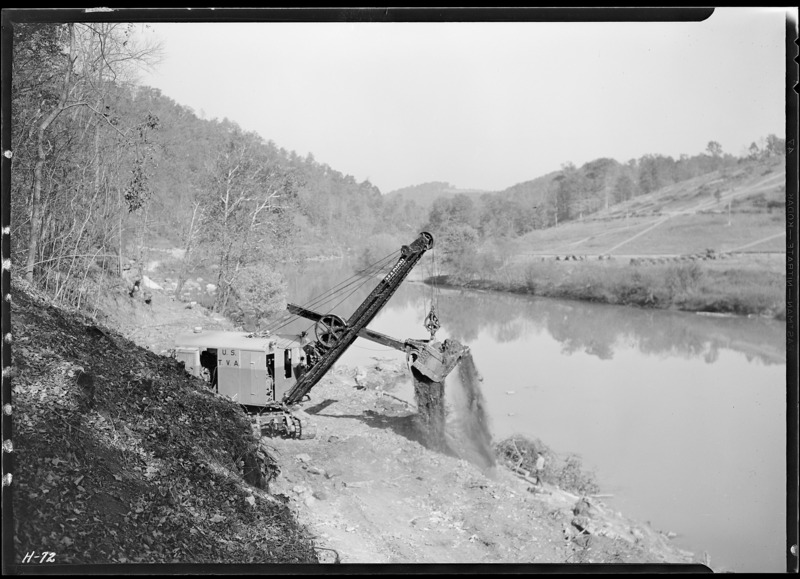 Sediment from the river was deposited by natural currents, combining with the landfilling process through the mid-80’s, with the intent that the excess water would then be pumped out, a process which was never finished. Upriver seeds from the ecosystems of the Parana and Uruguay Rivers were deposited here by currents, floodwaters and birds. In 1984 the project to reclaim the land was abandoned and two years later it was declared a “Natural Park and Ecological Reserve” (municipal law 41,247/86). The rich sediment, tidal fluctuations and floodwaters, and introduced plants from gardens and parks in the city make for a diverse ecosystem of hyacinth lagoons, mudflats, and hillocks which is now recognized by Bird Life International as important avian habitat. 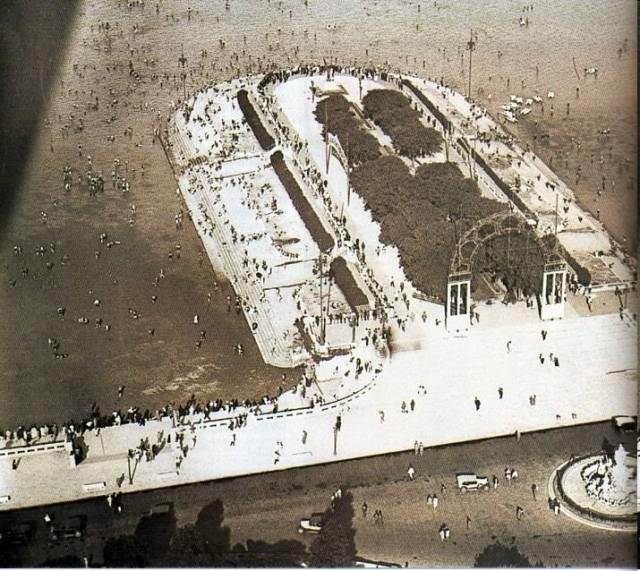 However, before the city edge was defined by the Reserva Ecologica, it contained a popular and prosperous bathing promenade, as were popular in many cosmopolitan cities in the early 20th century. 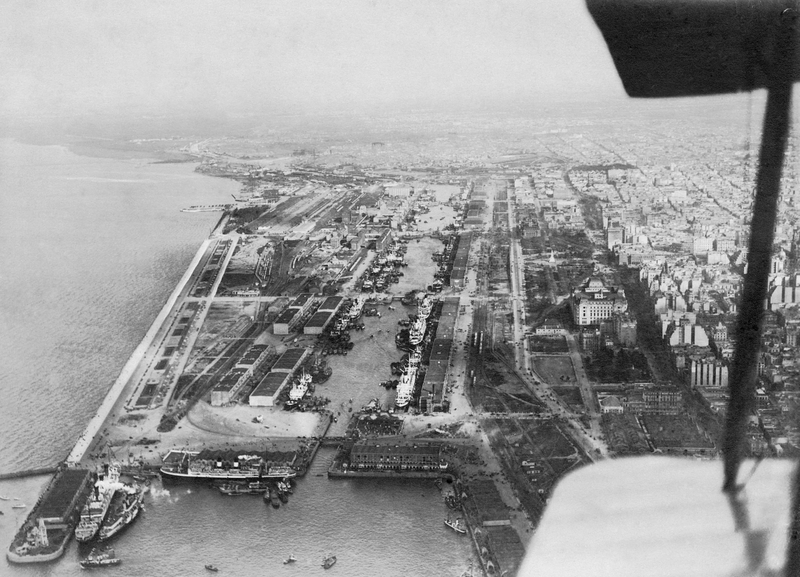 In 1918 Jean Claude Nicolas Forestier, pupil of Alphand, was contracted to come to Buenos Aires and produce an urban plan for modernizing the industrial capital city. Like many places throughout the Americas this was a time of great growth and optimism and also over European fetishism and capital investment. The sunbathing promenade was the only project that was realized from this plan, but it was wildly popular. Given its location near downtown in close proximity to working class and bourgeois neighborhoods, it succeeded for a time in giving space for rich and poor to stroll and be seen but also to bath in the river, have a meal, or fish. 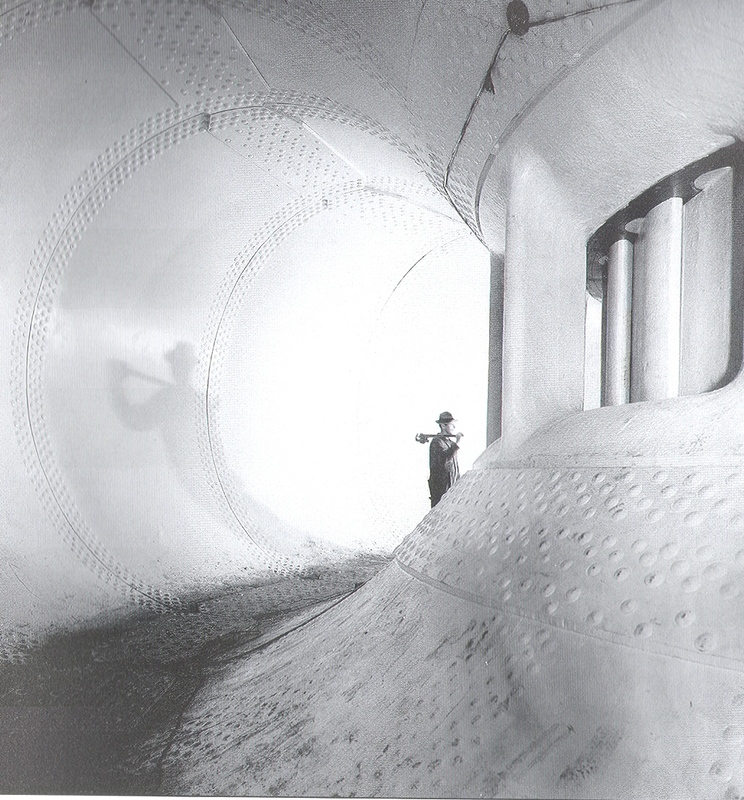 The quality of the water slowly deteriorated and by 1950 the river was closed off to recreational use, though the “balneario” promenade remained. 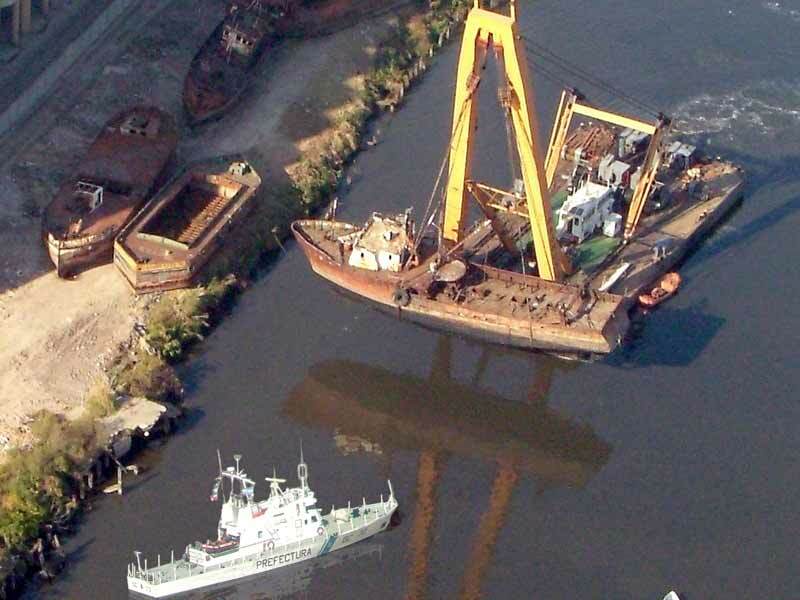 It was under this context that the project to reclaim land from the river for a seclude governmental center for the military dictatorship was undertaken 28 years later. Considering this, it seems as if the water channel in front of the promenade was purposefully maintained in order to create separation between the people and the government, acting almost as a moat and providing a high degree of access control at the southern edge. This area has since become filled in with water hyacinth, a florescent chimera ecosystem and an aching historical reminder. 1) the fecundity of the Rio de la Plata biome and the appropriateness of the water hyacinth as a catalyst in these chimera ecosystems is a major force that must be respected and utilized. The question of how is not one of intentionality however, as the biome will assert itself regardless of the presence or form of human intentions. 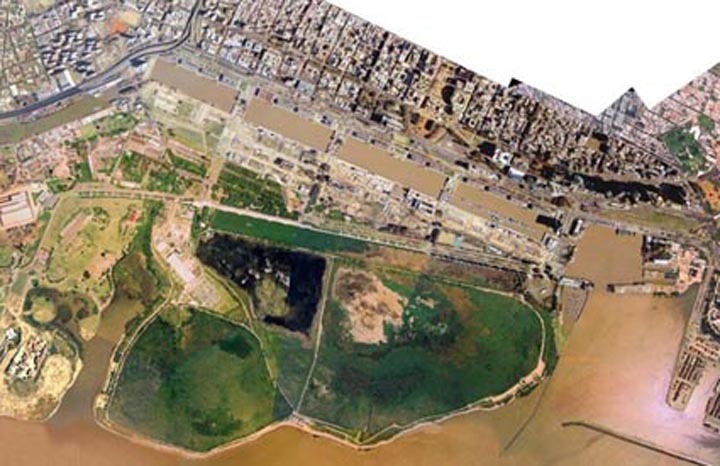 2) the sediment load of the Rio de la Plata makes a strong case for land reclamation strategies along the coast. History has shown that these can be wildly effective with relatively small efforts. 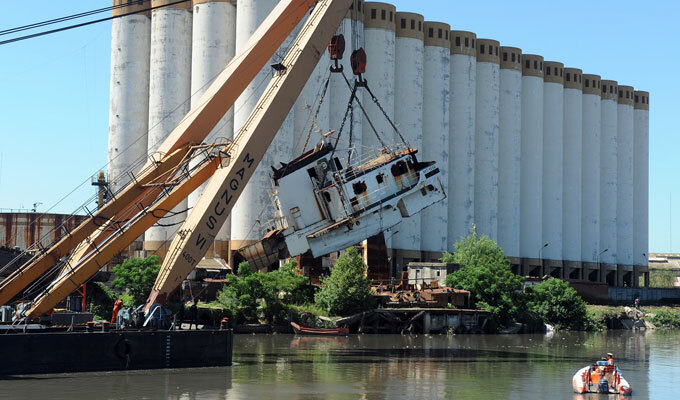 However, they make dredging a constant, arduous, and monumental task. 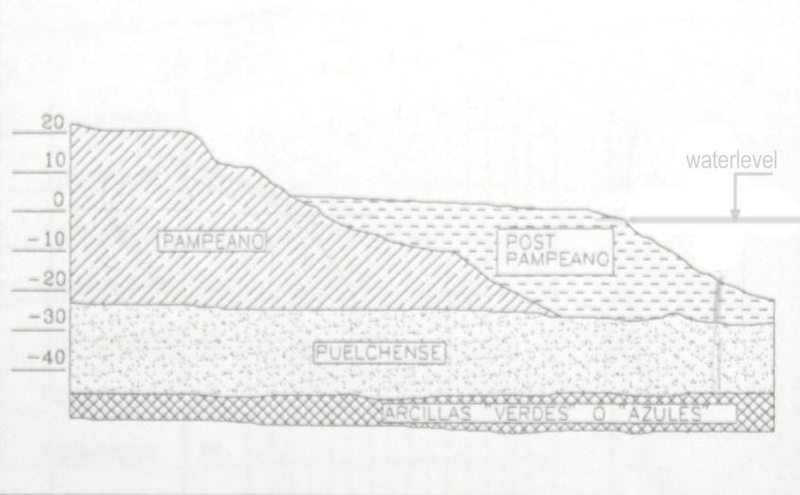 The Rio de la Plata is a geologic force. 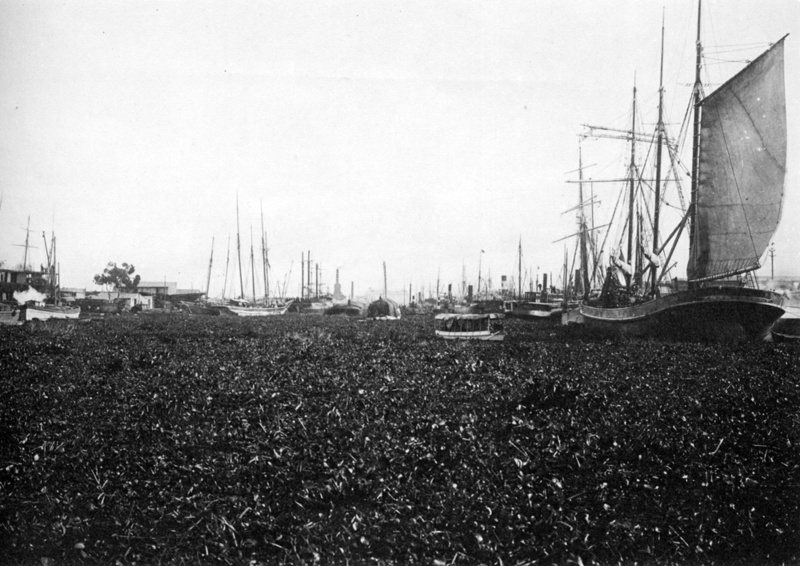 3) the presence of the river in the quotidian life of the inhabitants of the city was fundamental to the making of modern Buenos Aires and the mixing of social types and classes (as well as the mixing of other types of ecosystems). The loss of this characteristic in the second half of the 20th century paralleled many of the economic and social problems experienced by the city during that time. 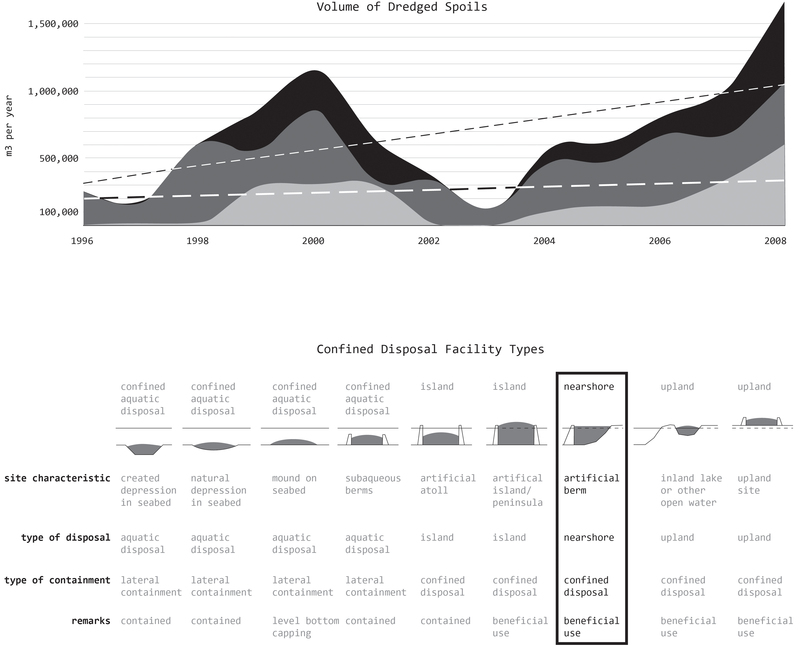 This suggests that any environment remediation in this hydrological system- in our case the Riachuelo portion- is fundamentally a political economic question concerned with issues of environmental and social justice. 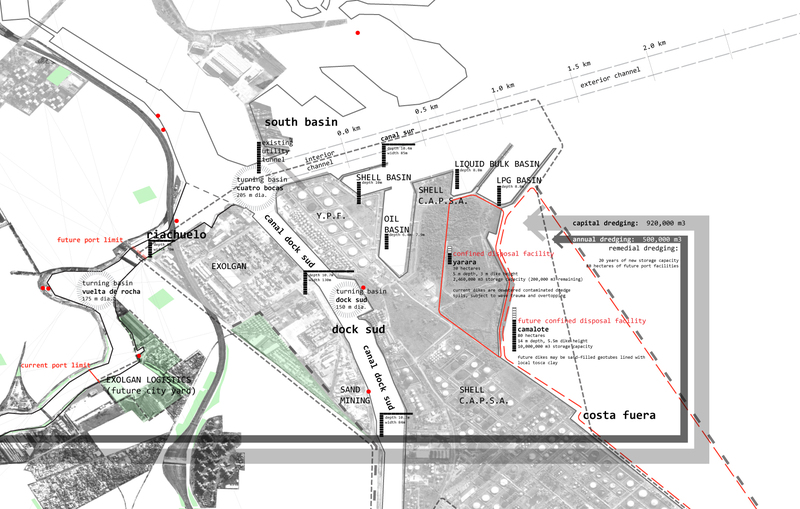 With the close proximity of the Reserva Ecologica to my site, the historical and thematic issues of the place will play an important role in the concept and execution of the thesis project. 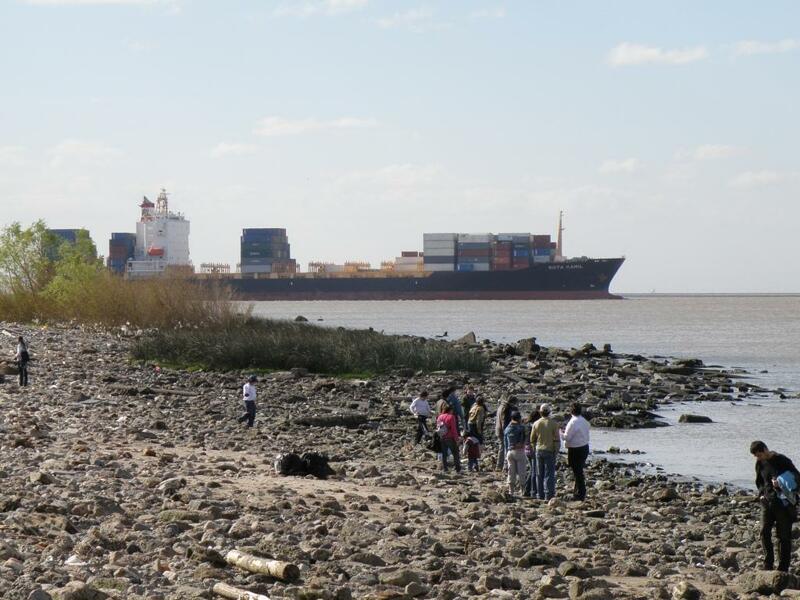 The instrumental landscape of the Reserva Ecologica consists of the dump trucks, conveyor belts, and wrecking balls used in the demolition projects, but also the historical bathing promenade and resultant hyacinth lagoon, the estuarine currents and floodwaters, the sediment load of the Rio de la Plata, the gardens dispersed throughout the city whose seeds make their way here, the autonomous and individual birds flying through this zone bringing seeds and eating insects, and the construction debris itself.